For fans of Yusei and his new Junk Speeder. 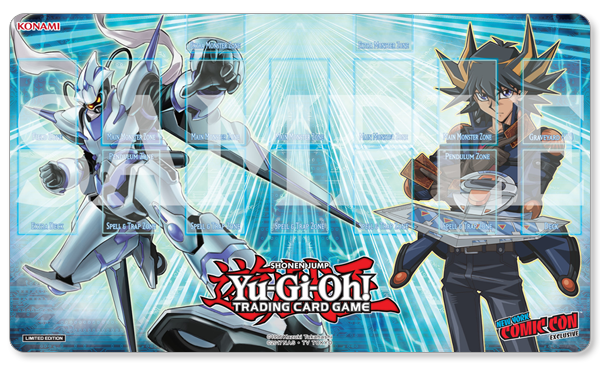 It’s a playmat featuring Yusei and Junk Speeder, for 30 Dollars a pop at the event. Besides this, the Comic Con will give you a chance to take a picture of yourself as a Token Card. There will be a Retail Store with the latest products. Demonstrations on how to play the game. There will even be cards from Soul Fusion on display at the event. And demos of Duel Links.